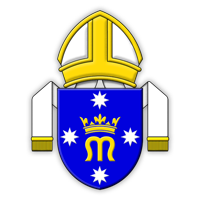 You may wish to make a bequest to the Ordinariate or to your local Ordinariate Parish. You can leave a fixed sum of money, a proportion of your estate, or specific property. These clauses may serve as a guide for your solicitor. and I direct that the receipt of the Executive Director or other proper officer of the Ordinariate shall be a full and sufficient discharge to my Trustee(s) for the payment of such sum and that my Trustee(s) shall not be bound to see the application thereof.